Dr. 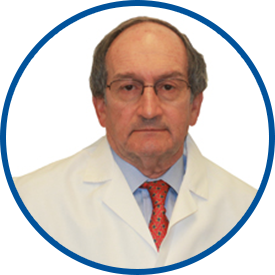 Le Brun is board certified by the American Board of Psychiatry and Neurology and has extensive experience practicing general neurology for 40 years. Born in France but raised in Argentina, Dr. Le Brun was awarded his medical degree by the University of Buenos Aires Faculty of Medicine. He completed his residency in neurology in New York City, where he was chief resident at the New York University Medical Center. He previously founded the Neurology Group of Westchester, comprised of six neurologists in White Plains. Dr. Le Brun is an attending neurologist at White Plains Hospital, where he formerly served as Chief of Neurology. He is a member of the American Academy of Neurology. He is also fluent in French, Spanish and Italian. *Dr. Le Brun is excellent. Overall I am very satisfied with my experience at Westmed, THANK YOU! I have recommended Dr. LeBrun. Always a good experience. I've been seeing Dr. LeBrun for almost 20 years. We have a good relationship, professional yet also friendly. Always makes me feel comfortable in his office.